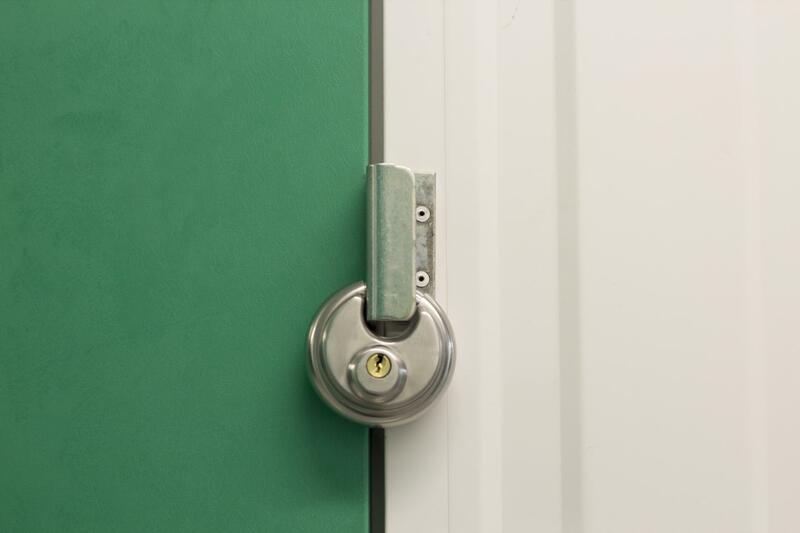 What Type of Lock Should You Get for Your Storage Unit? When you are looking for a storage unit in Des Moines, the three main factors you should consider are size availability, price, and security. At Affordable Family Storage in Des Moines, we pride ourselves on offering a variety of storage unit sizes at some of the best prices in the area. Our storage facility is also climate-controlled and well-monitored, meaning your items will be safe from extreme weather changes and potential intruders. While our security measures are some of the best in the business, there are a few things you should do to protect the stuff you keep in your storage unit. One of the most important things you should get for your unit is a lock for the door. However, not all locks are created equally! In today’s Affordable Family Storage blog, we discuss some of the most common locks you can use to protect the items kept in your storage space. Disc locks are considered by many to be the standard lock to use for a storage unit. These locks were created with storage units in mind. Lightweight and easy to use, disc locks can’t be broken with bolt cutters or a hammer. In order for someone to forcefully open the lock, they have to use a grinder which takes more time and effort than most thieves are willing to put in. While disc locks are more expensive than traditional padlocks, the added protection and stainless steel design make them an excellent choice for your long-term storage security needs. Another common lock choice for storage units is keyless locks. Instead of being unlocked with a key, the user must input a series of numbers to unlock the hasp. Using one of these locks means that you don’t have to constantly keep track of a key whenever you need to access your unit. However, many of these types of locks are not rated for outdoor use, and a person with bolt cutters can often make quick work of the lock and easily access the items you have stored inside. Padlocks are the type of lock that most people imagine when they think of storage units. Most of these locks can be used indoors and outdoors, and they can be easily rekeyed if you happen to lose your key. Many padlocks have the same issues as combination and keyless locks – a few seconds with a strong pair of bolt cutters and your stored stuff is free for the taking. Whether you choose a disc lock or a padlock, be sure to choose Affordable Family Storage in Des Moines for your storage unit! Reserve your unit online on our Des Moines storage facility location page, and contact our office at 515.325.0248 with any questions.